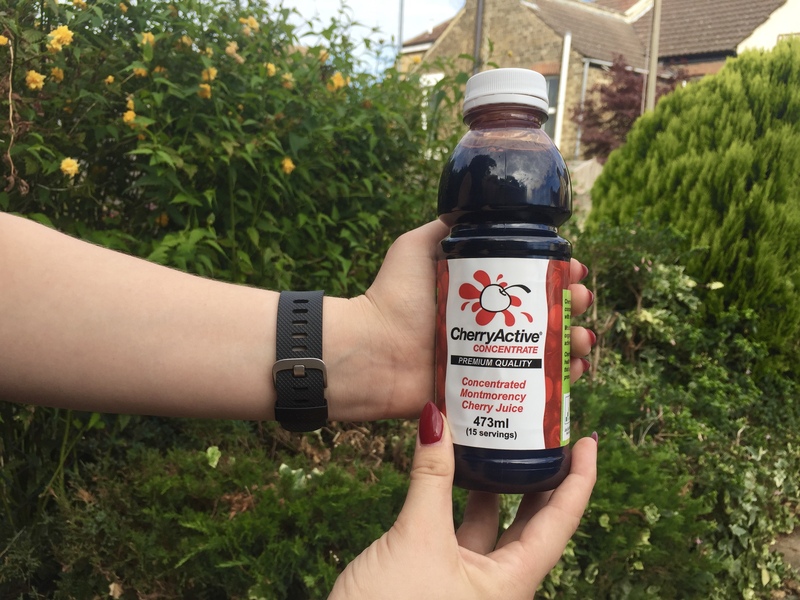 CherryActive have a drink called The Montmorency Cherry Drink and it is basically a magic drink. Research has shown that if you are drinking the drink the right amount of times then it may help reduce inflammation, ease pain from arthritis, reduce the occurrence of gout, help to maintain good nights sleep pattern and also as part of a healthy diet can help the recovery process from working out. The drink is purely made from Montmorency cherries. These cherries are normally in powders, juices and even dried Montmorency Cherries. There are no side effects when taking the drink, but if you have any allergies to cherries or fruits in general then talk to your doctor before hand. Lastly, the drink can be consumed by pregnant women and children. if you are pregnant I would consult a doctor before hand also, but for children it is completely fine. The sugar in the drink would go towards their daily sugars and because the drink is 100% Montmorency cherries it could be classed as food. Now, I would consider myself to be quite a healthy active person. I like to keep fit and motivated to want to look good. I try to go to the gym about 6 days a week and I normally eat really good (except from the cheat days.. we all have them don’t judge lol). When I workout really hard, I struggle for the next two days after going to the gym as I am aching and am in pain. I would also say that my sleeping at times isn’t the best either. I go through stages where sometimes I struggled to get 8/8:30 hours of sleep a night, and other nights I get about 9/10 hours of sleep. When I get under 8 hours of sleep, I find myself struggling the next day and am always taking naps. Therefore, in that sense this drink sounded perfect for me. Gout is a form of arthritis that sometimes causes sudden and really painful attacks in the joints of the foot (especially the big toe), knees, hands and wrists. It normally affects 1 in 14 men and 1 in 35 women. It is caused by excessive amounts of uric acid in the bloodstream and this is caused when there isn’t enough urine passed. 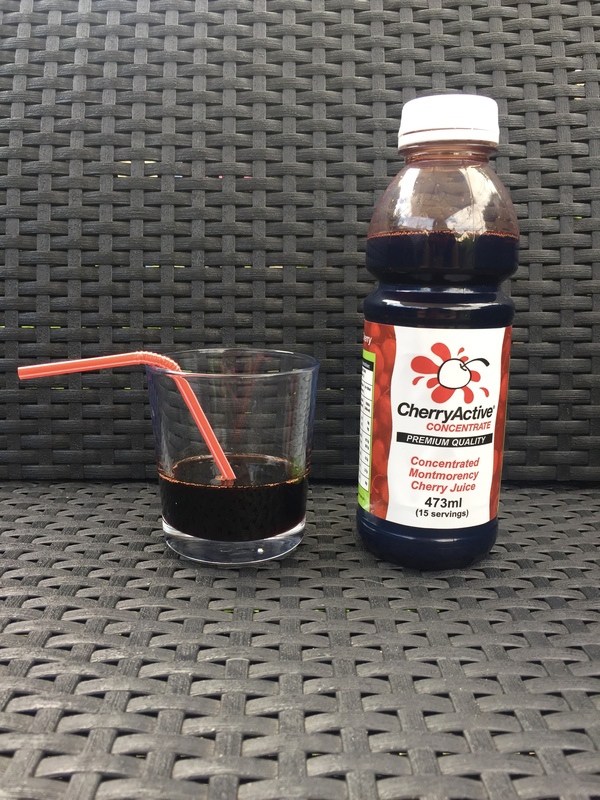 It is shown that the cherries contain levels of anthocyanin (higher than normal cherries) this gives the drink its bright red colour. This is their reason behind the fruit’s uric acid lowering effects. Anthocyanins posses anti-inflammatory properties which will help inflammation and pain associated with gout attacks. Arthritis is inflammation within a joint. It occurs when the cartilage becomes thinner and rougher between a joint. the loss of cartilage causes stiffness and paint, mostly known in the fingers and the knees. It is really well known in the UK as over 8 million people have it. It is very common in older people, especially women. Anthocyanin is found in the cherries and again it helps reduce inflammation and pain from the joints. Melatonin is a natural compound produced in the brain’s pineal gland, this controls the bodies natural sleep cycles. Studies show that insomniacs have low levels of circling melatonin which causes sleep problems. Montmorency cherries have a food source of melatonin. Drinking 30ml Montmorency cherry drink, mixed with a little bit of water an hour before bed is said to help. Exercise recovery is the period after you have worked out in which your body is trying to recover. When you work out your body and your muscles go through a lot and having a rest after working out is essential for the body to heal. Intense or long exercise can cause physical and oxidative damage to the muscle fibres and cells. The damage can cause inflammation and soreness worked in the muscles, this is why after you have worked out a day or two later your body aches and hurts. It takes a couple of days after working out hard for your muscles to fully recover and gain their strength back. A faster recovery period can result into higher training volumes and better improvements in strength, power, speed and endurance. The cherries contain specific levels of natural copings, called anthocyanin. Which is used to reduce inflammation after intense training. Anthocyanins and other compounds found in the cherries are powerful antioxidants and these sort out the muscles after a long intense workout. the properties of the cherries can help speed up the recovery process and contribute to a better training performance. The cherries are proved to help sleep quantity and quality, therefore a better nights sleep contributes to a better recovery after the body has worked out. I was drinking the drink after a workout and before bed. Exercise recovery and sleep were the reasons as to why I wanted to take this drink. Therefore it was only best to do it at these times. After working out intensively for about a week i was drinkning this drink after. 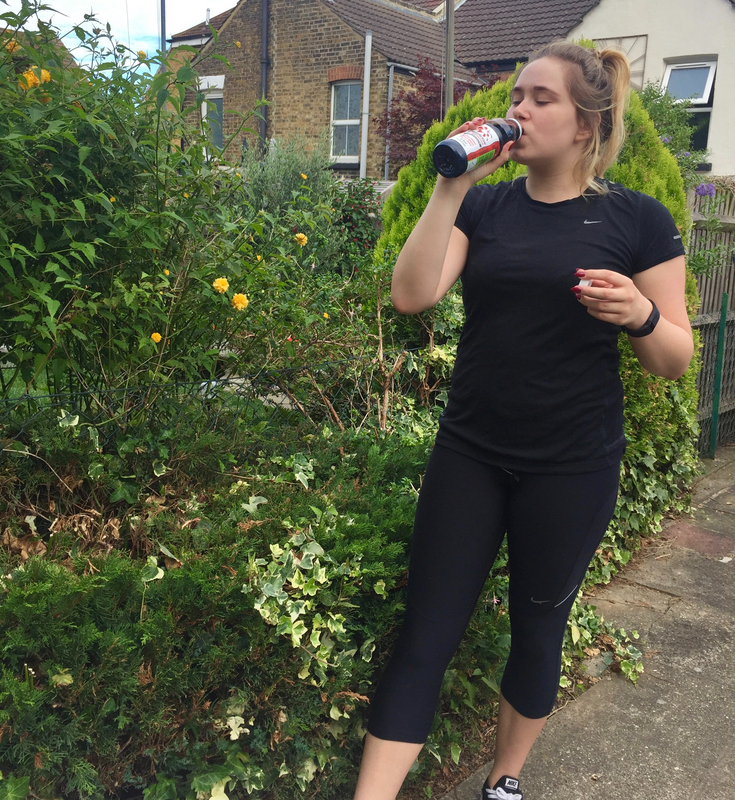 I liked grabbing this drink and mixing it with water and sitting in my back garden and chilling after a long sweaty workout. Drinking this drink did reduce the amount of pain my muscles were in from working out, they didnt hurt as much as they normally did, although, I was still a bit of pain. Just not as bad. 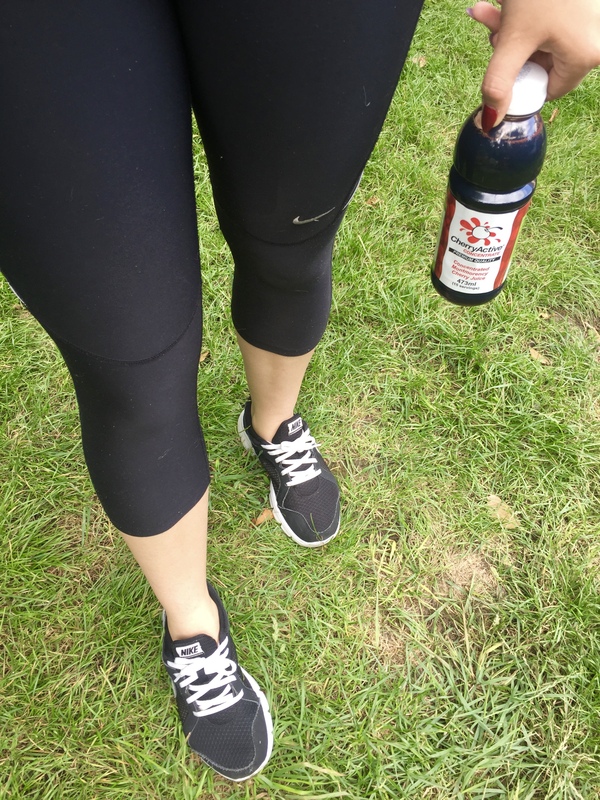 It made me reach for this drink a lot as I knew that it was going to help increase the recovery. Sleep wise I didn’t really notice a difference in my sleep, although it did make me fall asleep instantly as soon as i got in to bed. Normally i am wriggling around for about 10 minutes. As I am being completely honest in this post I have to address the fact that while I was drinkning this drink, I did notice that when I passed urine it was red from the drink after that it wasnt red anymore. To be honest, I didn’t really like the taste of the drink but because I knew it was going to help me in the long run I would drink it. The drink is VERY VERY STRONG!!! (I NEED TO EMPHASISE HOW STRONG IT IS) You know when you blow up balloons and your jar starts to hurt, well when you drink this drink for the first couple of times it does the same thing to your jaw (especially without water, but then you are meant to add water) Drinking It with water is what you are supposed to do, but I wanted to try it with and without water to see what the effects were. The drink is 473ml and will cater for 15 servings. Add around 30ml of the cherry concentrated drink and add water. Without water it is very strong to the point where it is bitter sweet. I did try it without the water and it was soooo sweet! Me trying to brave it and drink it without water – I wouldn’t recommend it. The packaging of the bottle was really cool, you could tell that it was a good quality product. It didn’t feel cheap at all. I would love to see what effects this would have on someone who suffers from arthritis and gout. 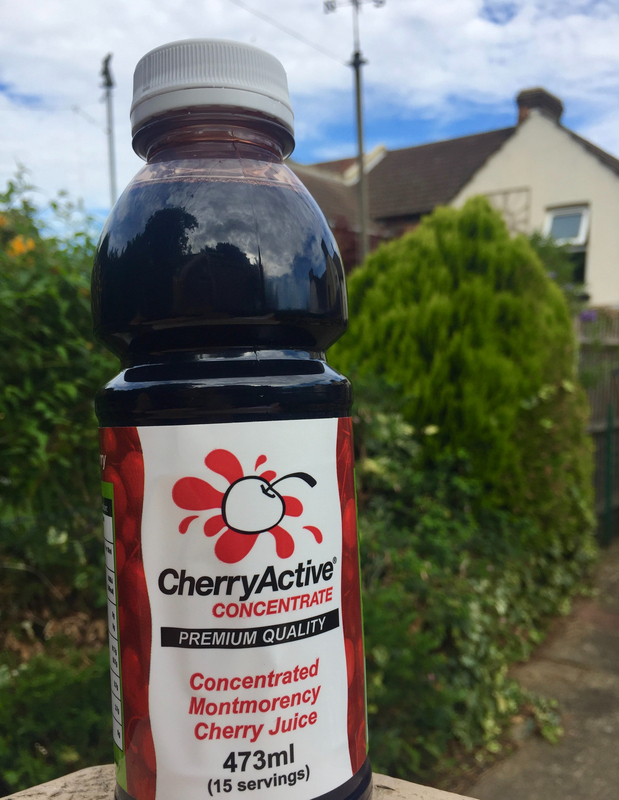 If you want to buy this CherryActive drink then you can get it online or alternatively you can get it from Holland and Barrett if you are looking to buy just one serving. They do also do capsules, shots, dried cherries, chocolate cherries and obviously the drink and this drink retails for £15.99. I think if you try the products and they are for you, then they are definitely worth buying. I would love to try the cherries and this is probably more up my street then the drink, however I did really enjoy the whole concept of the drink as a whole. Let me know if you have tried this drink before and if you get this drink. If you had this drink what did it target for you?? Wow this sounds like a great product. Never heard of it before but by reading this I am intrigued to find out more for myself! Thanks for sharing! I have never heard of this! It sounds really good but not sure if it is something I would buy. Definitely would recommend to anyone that has any of the conditions that it could possibly help. Sounds like a pretty great drink, but maybe too sweet for myself 🙁 but sounds like its got some fab health benefits! What an interesting drink, be never heard of it before! I’d be interested to see if it helped me fall asleep as fast as it made you! I always toss and turn! Will have to check it out next time I’m out shopping! 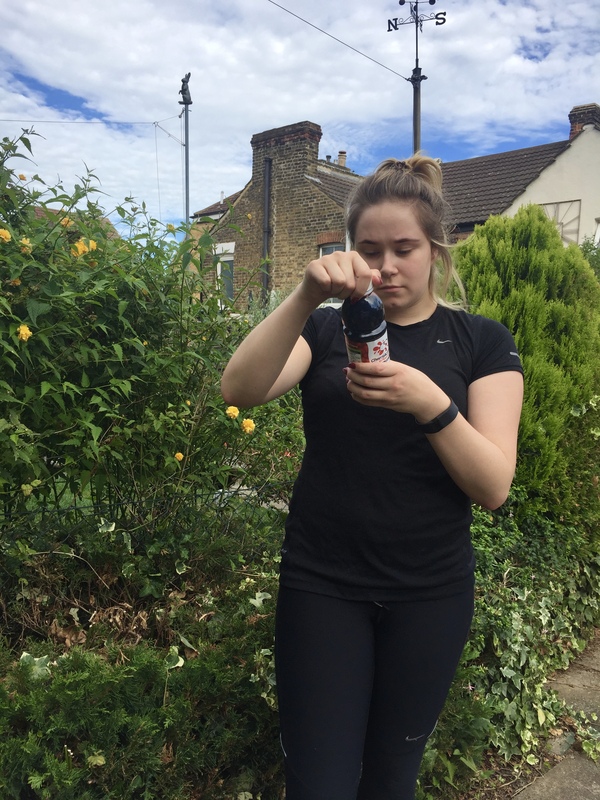 Although I don’t personally suffer with any of these problems, the fact that there is a drink that could help people with these is actually really interesting – I think it would be great as it’s sort of like taking medicine but you’re having a nice refreshing drink! Sounds delicious! Nice write up on the product! I am no longer certain the place you’re getting your information, but good topic. I needs to spend a while learning much more or working out more. Thanks for fantastic information I used to be looking for this info for my mission. I have been surfing on-line greater than three hours today, yet I never discovered any fascinating article like yours. It’s lovely value sufficient for me. Personally, if all site owners and bloggers made just right content material as you probably did, the internet will be a lot more helpful than ever before. oh really thats interesting. I think you are the first person I have ever heard say that. It literally does, it actually shocked me how good it is. That would be a cool idea! Pingback: Why every blogger needs Dot Creates in their lives! I love cherry flavoured things! I actually think its my favourite fruit flavour! This sounds interesting and I am trying to take a more holistic approach to my health so reading some of the benefits is really intriguing. I may purchase some as my boyfriend has arthritis and we are always looking for something to help! I find posts like this really interesting! 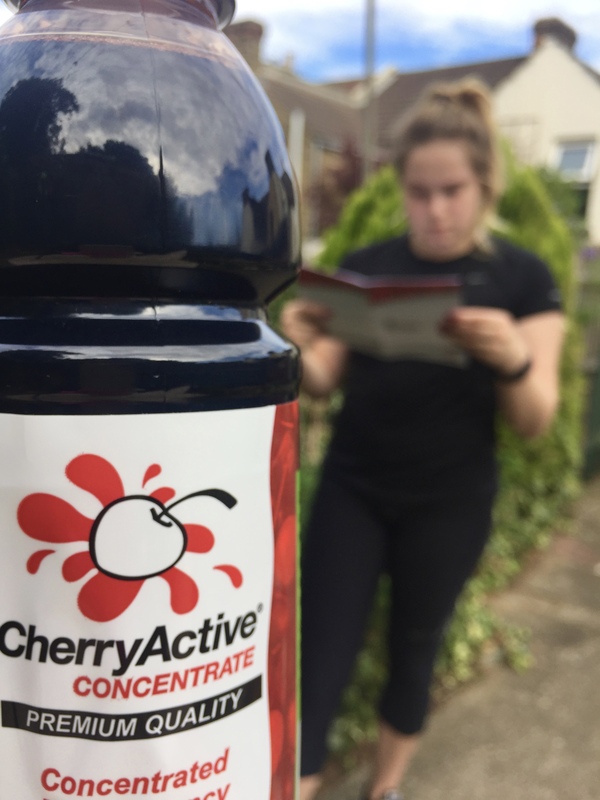 I studied sport at University and we looked into cherry juice for recovery but I didn’t know it could help benefit people who struggle to sleep. Really intersting!